Brda Electric’s Home Generator Division will solve your need for an electrical generator in your home. Specializing in home generator installations, we will make sure when your electric company’s power goes out, your lights, refrigerator, water heater, sump pump, and other important electrical household items can stay on. Permanent generators can start immediately either by a push of a button or automatically because it is already connected to the house wiring and to the fuel source. Automatic systems have an auto transfer switch that can sense power outage, isolate your electrical wiring or designated emergency circuits from the grid and start the genset. When power is restored, your system will connect you back to the utility lines and will turn itself off. You don’t have to be home to activate it. The typical transfer time of an automatic system is 10-30 seconds. If you run important computer applications, you may want a UPS to prevent data loss during the transfer time. In addition to the convenience of auto starting and practically infinite run time, permanently connected standby systems offer power levels higher than portables- their rating is ranging anywhere from 3 kW up into hundreds of kW. 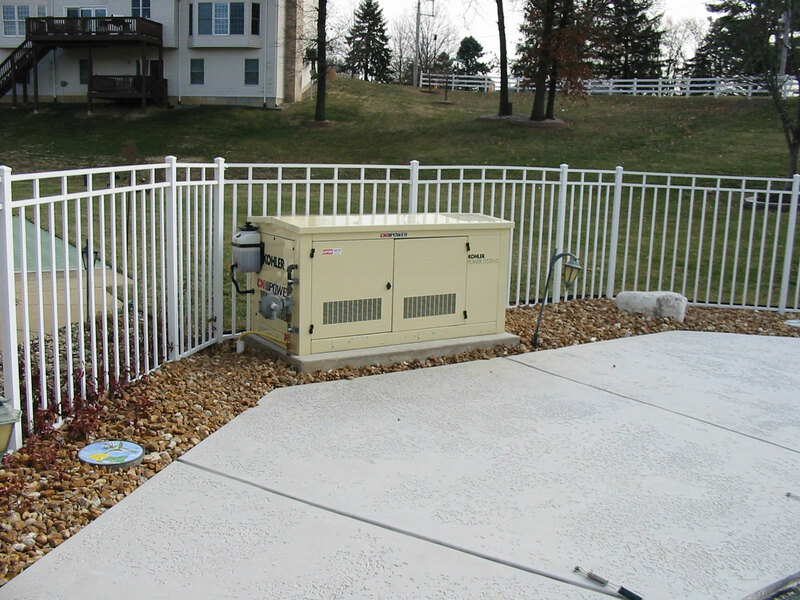 All this makes them the best as whole house generators in case of a long-term emergency. Although permanent systems are more expensive then portables and require professional installation, they will increase the value of your home. If you’re looking for a company to help with your home generator installation, please consider Brda Electric, Inc.
Get your free estimate fast!